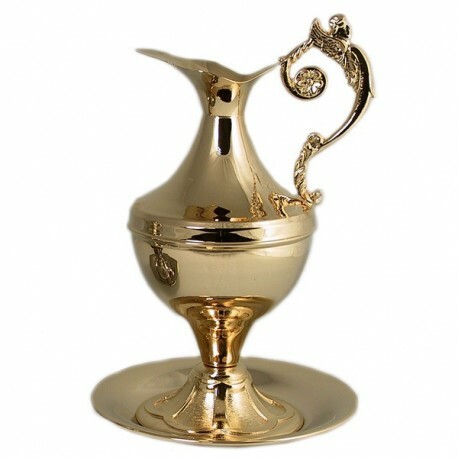 Jag with small golden or silver-plated plate, for the ablution rite. 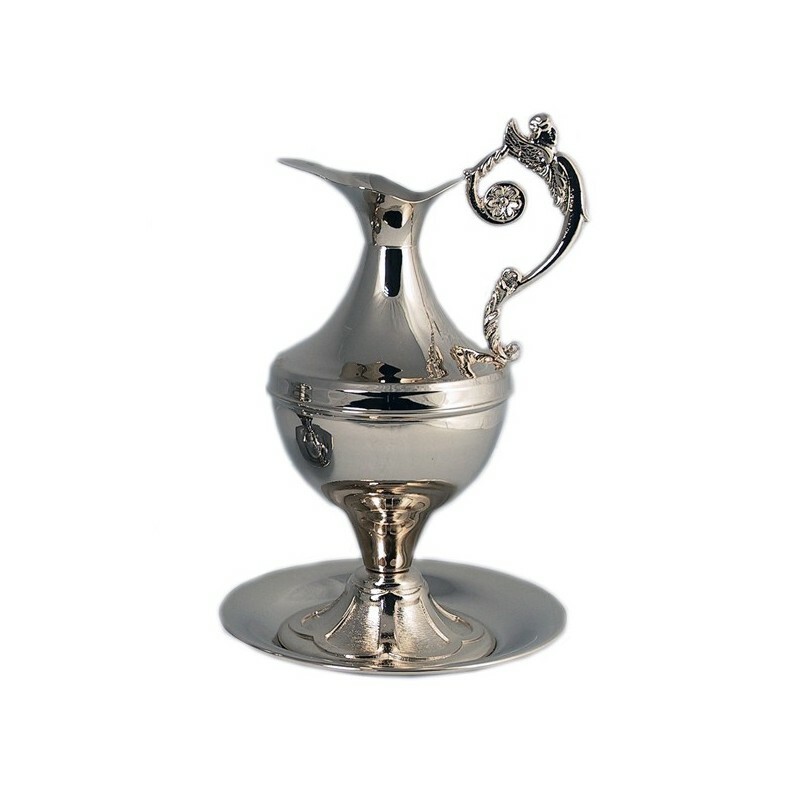 Chromed or golden jag for ablution, cm. 35, with small plate. Chromed or golden jag for ablution, cm. 35, with small plate. Capacity 1 liter.